At the recent International Assembly the key message from senior leadership is that Rotary is at a crossroad and participants were urged to enthusiastically and audaciously create 21st century solutions to realise our new vision statement, which is: “Together, we see a world where people unite and take action to create lasting change – across the globe, in our communities, and in ourselves”. 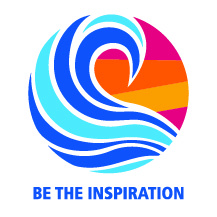 Each speech, as well as being inspiring in its own right, focused on “awakening the souls of Rotarians” recognising that we are stronger when inspired and working together rather than alone and, as people of action we make the world a better place if we strive for lasting change which endures long after our involvement. 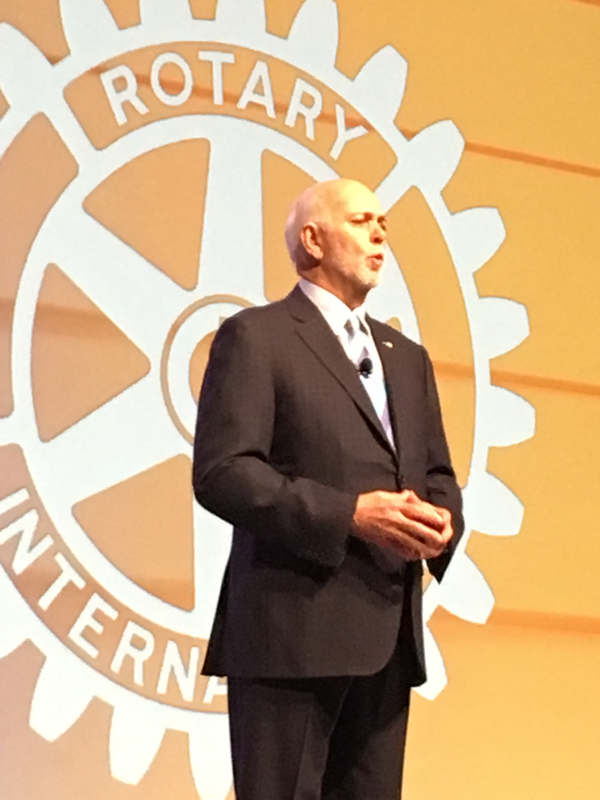 In unveiling the new theme RI President Elect Barry Rassin in his speech urged clubs and members to build on the past and look within to realise their potential, inspiring others to face today’s challenges head on with courage, optimism and creativity. The speeches that follow Barry’s support that thrust, providing valuable information and inspiration on what we must do to move forward; our challenge is to maintain our current commitments whilst we improve our capability for the future. There will be more inspirational videos added during the next few weeks. Barry Rassin earned an MBA in health and hospital administration from the University of Florida, and is the first fellow of the American College of Healthcare Executives in the Bahamas. He recently retired after 37 years as president of Doctors Hospital Health System and continues as an adviser. He is a lifetime member of the American Hospital Association and has served on several boards, including the Quality Council of the Bahamas, Health Education Council, and Employers Confederation. 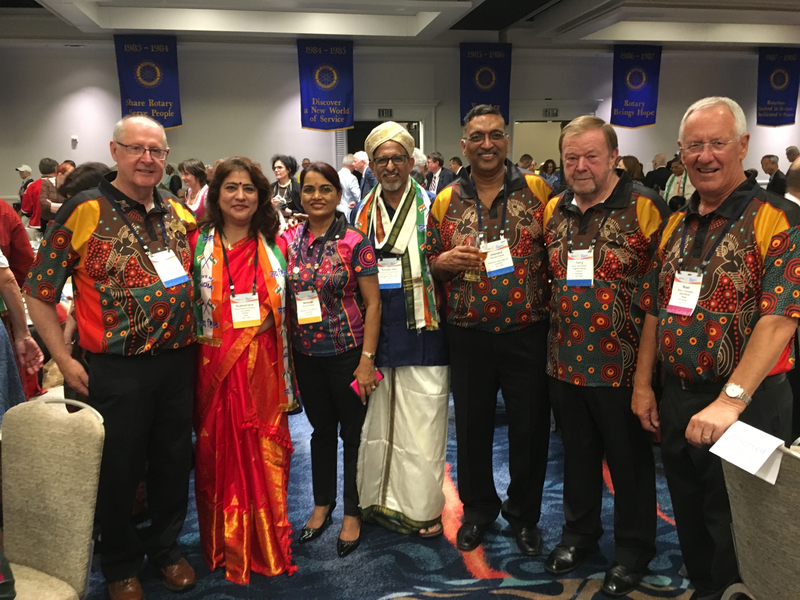 A Rotarian since 1980, Rassin has served Rotary as director and is vice chair of The Rotary Foundation Board of Trustees. He was an RI training leader and the aide to 2015-16 RI President K.R. Ravindran. Rassin received Rotary's highest honor, the Service Above Self Award, as well as other humanitarian awards for his work leading Rotarys relief efforts in Haiti after the 2010 earthquake there. He and his wife, Esther, are Major Donors and Benefactors of The Rotary Foundation. GS8 - How to Manage Change - Noel Trevaskis, RI Director from Graham Fussen on Vimeo. Jennifer E. Jones is president and CEO of Media Street Productions Inc. She actively participates on many boards in her community, including as chair of the Board of Governors of the University of Windsor. 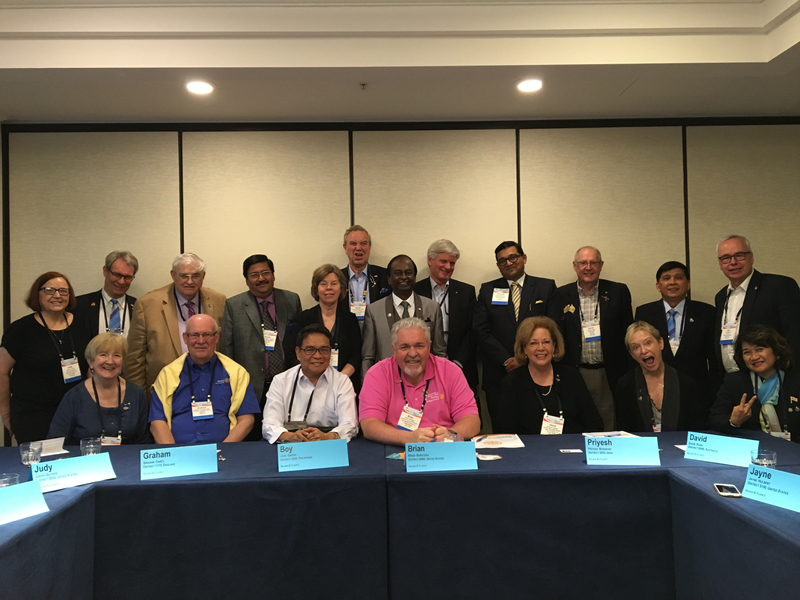 Jones has served Rotary as RI presidents representative; RI training leader; committee adviser, member, and vice chair; Rotary public image area and zone coordinator; leaders seminar trainer; moderator; and district governor. Jones is a recipient of RIs Service Above Self Award. She and her husband, Nicholas Krayacich, are members of the Arch Klumph Society, Paul Harris Society, and Bequest Society of The Rotary Foundation. GS8 - Future Strategic Plan - Jennifer E. Jones, Past RI Director from Graham Fussen on Vimeo. Maloney is a principal in the law firm of Blackburn, Maloney, and Schuppert LLC, with a focus on taxation, estate planning, and agricultural law. He represents large farming operations in the Southeastern and Midwestern United States, and has chaired the American Bar Associations Committee on Agriculture in the section of taxation. He is a member of the American Bar Association, Alabama State Bar Association, and the Alabama Law Institute. 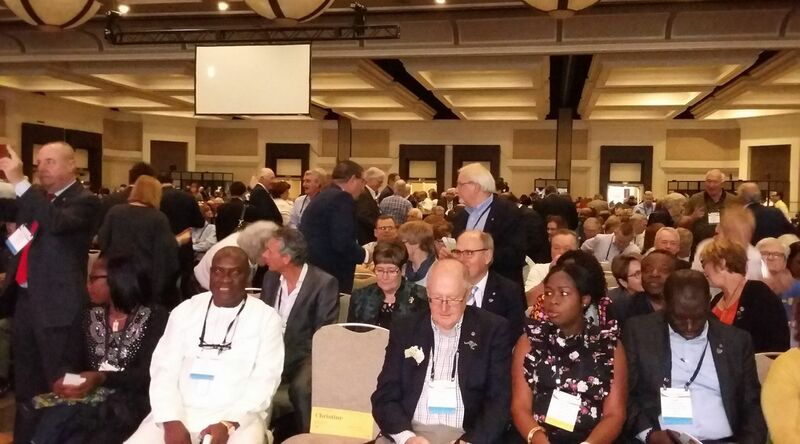 A Rotarian since 1980, Maloney has served as an RI director; Foundation trustee and vice chair; and aide to 2003-04 RI President Jonathan Majiyagbe. He also has participated in the Council on Legislation as chair, vice chair, parliamentarian, and trainer. He was an adviser to the 2004 Osaka Convention Committee and chaired the 2014 Sydney Convention Committee. Prior to serving as a district governor, Maloney led a Group Study Exchange to Nigeria. He also served as Future Vision Committee vice chair; regional Rotary Foundation coordinator; Foundation training institute moderator; Foundation permanent fund national adviser; member of the Peace Centers Committee; and adviser to the Foundations Water, Sanitation, and Hygiene in Schools Target Challenge Committee. GS8 - District Leadership Plan and How to Lead Your Team - Mark Daniel Maloney, RI President-nominee from Graham Fussen on Vimeo. Larry is senior vice president and CFO for Bernstein-Rein Advertising Inc. Past president of the Truman State University National Alumni Association, he also was treasurer of the Epilepsy Foundation for the Heart of America. Larry has been a Rotarian since 1991 and has served RI as RI president's representative, zone institute chair, zone coordinator, task force and committee member, Rotary public image coordinator, Rotary Foundation alumni coordinator, regional Rotary Foundation coordinator, RI training leader, International Assembly leaders' seminar trainer, and district governor. In 1982, he was a Rotary Foundation Ambassadorial Scholar in Australia. Larry is a recipient of The Rotary Foundation's Citation for Meritorious Service and RI's Service Above Self Award. GS3 - The Future of Membership- Larry A. Lunsford, Membership Development Committee Chair from Graham Fussen on Vimeo. GS4 - Understanding Different Generations - Amanda Wendt from Graham Fussen on Vimeo.